The weekend kicked off with Val McDermid and Peter May in conversation, followed by Whose Crime is it Anyway? 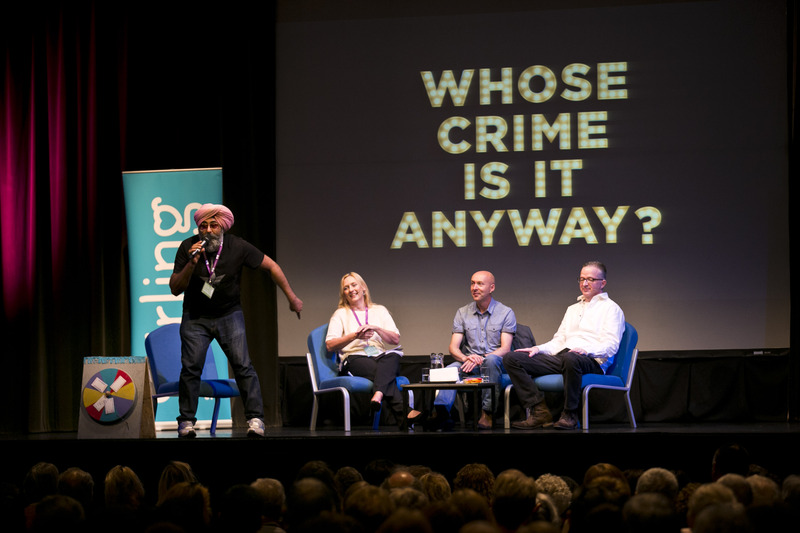 – with TV presenter Hardeep Singh Kohli throwing out the challenges to crime writers Christopher Brookmyre, Kevin Wignall and Caro Ramsay to improvise on the spot. Once the opening events finished, as ever at crime writing festivals, the rest of the evening was spent in the bar at the Stirling Highland Hotel with a glass of wine (or two, or three …). On Saturday, I wasn’t able to get to many events as I was in training for a special performance with The Slice Girls at the Crime in the Coo event later that evening. But I heard great things about the Killer Women panel – Louise Millar, Helen Giltrow, and MJ McGrath – who discussed whether the Woman is deadlier than the Male? The thought provoking Self Publishing session with Alexandra Sokoloff and Allan Guthrie, and the New Crimes panel with debut authors Lucy Ribchester (The Hourglass Factory), Chris Dolan (Potter’s Field), SJI Holliday (Black Wood) and Mark Legatt (Names of the Dead) – which all sound like fabulous reads. After a late, late night on Saturday, my start on Sunday wasn’t especially early! The first event I got along to was the Thriller panel with Simon Kernick, Tom Wood, G.J. Brown and Mason Cross. In a lively debate they talked locations – whether to visit them or not, and the perils if you don’t, the fun of writing “lone wolf” characters, and about their routes to publication (the key, so they say, is not to let rejection stop you). Then, with the sky getting darker by the minute, it was a short walk up the hill to the bowling green at Cowane’s Hospital where the Bloody Scotland Crime Writers Football Match: Scotland v England was happening. 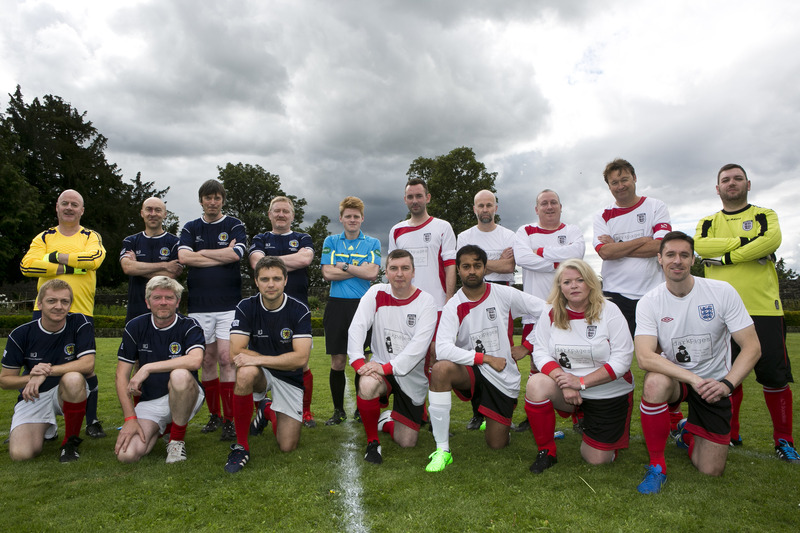 After Scotland’s convincing win last year there was a lot at stake, and as the game kicked off both teams looked very determined. 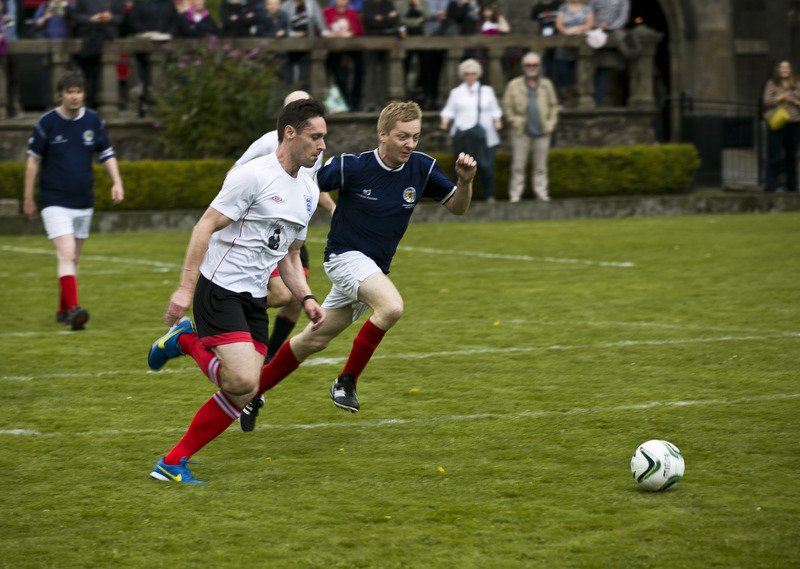 In a tense game, where the players had to contend with alternating sunshine and pouring rain, the two sides looked pretty evenly matched with goal keepers Luca Veste (England) and Craig Robertson (Scotland) kept busy as both sides battled it out to win. At the end of the match, the score was 5-5. The Scotland goals came from Mark Stanton, Christopher Brookmyre, and Doug Johnstone (3). For England the scorers were Vincent Holland-Keane (2), Col Bury (2) and Howard Linskey. 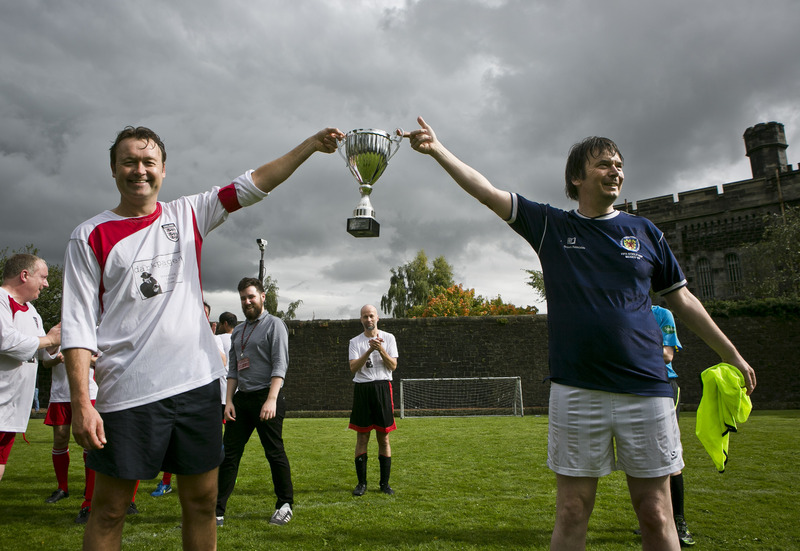 The team captains – Ian Rankin (Scotland) and Simon Kernick (England) held the trophy aloft and then, as the rain got heavier, it was time to trot back down the hill (to the bar!). 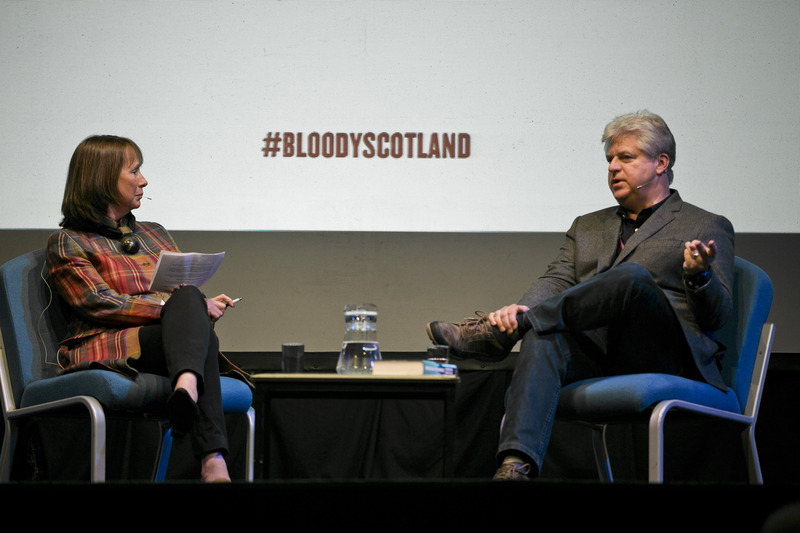 The final event of the festival was Literary Agent, Jenny Brown, interviewing bestselling crime thriller writer, Linwood Barclay, who was on his first visit to Scotland. To a packed audience, Linwood talked about his writing career, his latest book Broken Promise – the first of a sequence of three connected stories – and on creating a story with a killer hook. Very interesting and highly entertaining, this was the perfect session to end the festival with. Then it was back to the bar, for one final night, before setting off home the next morning. 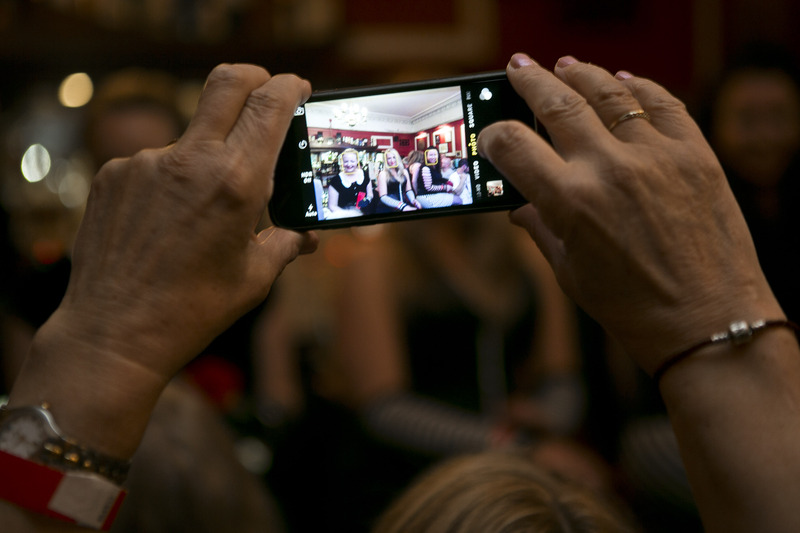 Next year the Bloody Scotland Crime Writing Festival runs from 9 – 11 September 2016. If you love crime fiction then you absolutely need to be there – put the dates in your diary and book a hotel, now! Trust me, this is one festival that you won’t want to miss out on. But, of course, there’s something that I haven’t told you about in this blog post – just what happened at Crime in the Coo on Saturday night. If you want to know, pop back tomorrow for my “(Not so) Secret Diary of a Slice Girl post. Thanks for a brilliant round-up of this fabulous event. Can’t wait to hear more! Great write-up, CTG. Thanks for the snapshots and the mention. Sorry I missed meeting you, Col (panic as crimeworm thinks did I meet him but was just too pissed to remember?!) No, I don’t think our paths did cross – next year, hopefully! There’s lots of people I missed out on meeting, but I still had a great time, and the Slice Girls were the definite highlight – how will you top that next year, girls? !